Through the years, Kiefer USA has carried on Adolph’s Kiefer mission on being an industry leader in the supply and installation of sports related flooring products. They are proud to exclusively represent the finest sports flooring manufacturers in their respective fields. 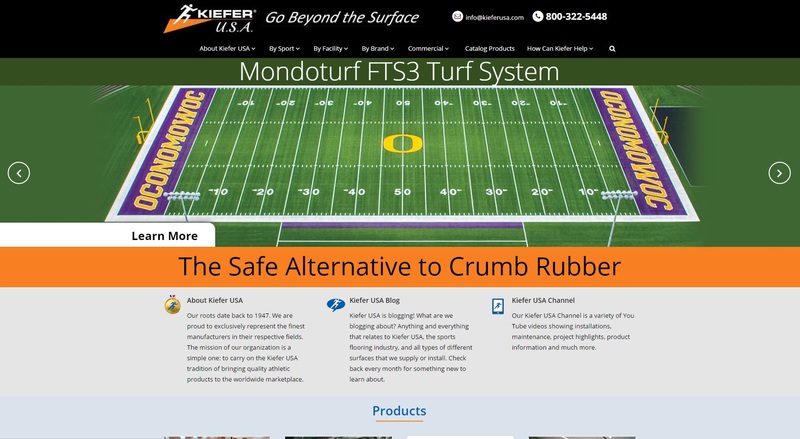 Whether customers seek a quality sports wood floor, a high end running track surface or an artificial turf field, Kiefer USA has a quality solution. Kiefer has been our client for SEO services for several years. In 2015 we redesigned their website to be responsive, mobile friendly and contemporary. Kiefer’s team and their customers are very pleased with the results. We are very happy with the website, thank you for all your hard work on this 🙂 Everyone loves the new site.